The sixth graders at West Side are learning about painting in layers. They have divided the canvas in half and painted the day and night, and they added a tree at the seam showing fall and winter. They learned to create a bottom layer of a painting, create clouds, a sun and a moon using a stencil and sponge technique, and transfer their separate tree drawing to their paintings by flipping the image and tracing its lines. They added leaves to one side and snow on the other for a seasonal perspective. 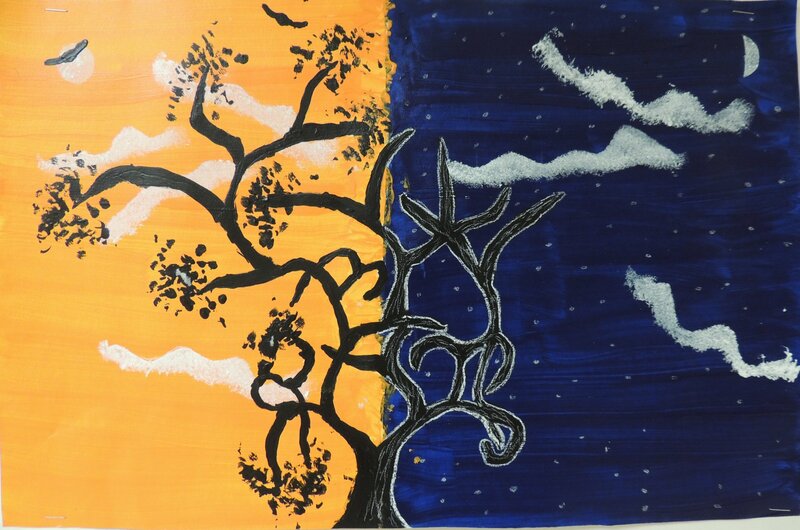 Check out these wonderful day & night trees!